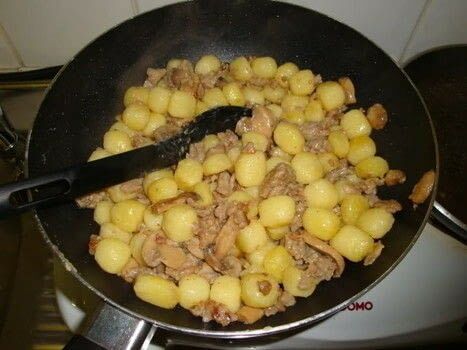 Bake your meat in a frying pan. Fry the onion a bit in another frying pan than the meat. 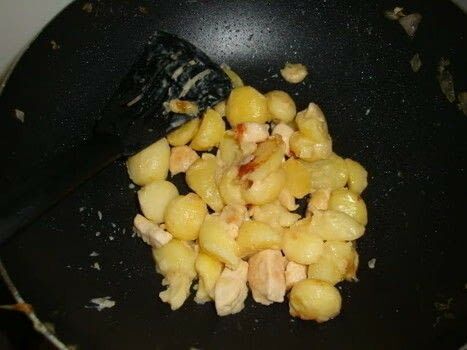 Toss your potatoes with your chopped onion. if your meat is ready, put it in the frying pan with the potatoes and onions. While this is baking, Add the cheese, Don't forget to stir 'cause the cheese burns easy.